New law shields sitting PMs from investigations, raises concerns PM Netanyahu will use it to protect himself. Israeli legislation will be proposed to shield future prime ministers from investigations while in office, an official said Monday, prompting opposition concern that Israeli Prime Minister Binyamin Netanyahu could use it to evade prosecution. Netanyahu, now prime minister for a total of more than 11 years, is being investigated in a graft probe that has led to speculation over whether he will eventually be forced to resign. A key ally of Netanyahu said Monday the premier's Likud party will introduce legislation that would shield future sitting prime ministers from investigations, though not after he or she leaves office. The legislation is believed to have little chance of being approved or of surviving court challenges if it does pass, but it has prompted concern from opposition figures. 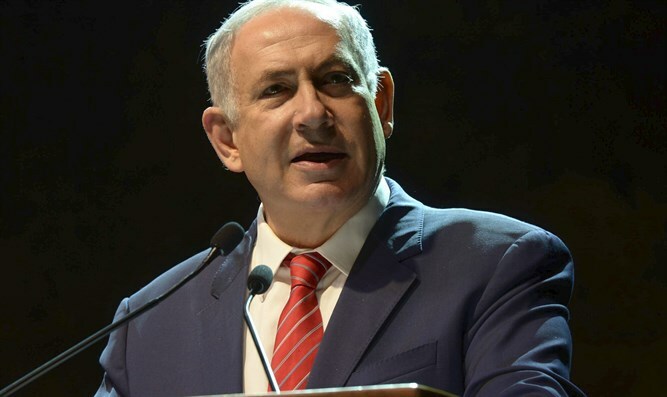 Some argued Netanyahu could call new elections if it becomes law and, if he is again prime minister, at least postpone the investigations currently underway. Israeli prime ministers are not subject to term limits. Police are looking into gifts from wealthy supporters of Netanyahu and suspicions he sought a secret deal with Arnon (Noni) Mozes, the publisher of leftist newspaper Yediot Aharonot. Coalition Chairman David Bitan (Likud), said the legislation would be proposed by early next year. Likud MK David Amsalem, the author of the legislation, said there was "no prior consultation with the prime minister" on it. "Is it conceivable that Donald Trump, for example, would be subjected to an investigation over a story about cigars?" he said, referring to one type of the luxury gifts reportedly given to Netanyahu by Israeli Hollywood producer Arnon Milchan. Talk of the legislation comes after Netanyahu and Israeli police faced off in a rare public dispute over the intensifying investigations. Netanyahu on Saturday lashed out at the police on his Facebook page over leaks to the Israeli media related to the graft investigations. That prompted a stern response from the police, who condemned "baseless attacks that disrupt their work and undermine the rule of law." Netanyahu's wife Sara has faced a separate investigation into alleged misuse of public funds.